Earlier today someone called me asking for advice regarding a bid he was about to make for a property he wanted to rent. The property could support 200 cows from May to October and the term of the lease would be 10 years. He hoped that I would have some knowledge about rents in his area (I don’t) and some suggestions for determining what he should bid (I do). What is the gross margin per unit of the livestock it will support? What additional overheads will it add to your operation? Is the scale big enough to make it worth doing? Gross margin per unit measures the economic contribution each animal makes toward paying overhead costs and making a profit. Someone with a gross margin of $800 per SAU (standard animal unit) can afford to pay more for the lease than someone with a gross margin of only $500 per SAU. 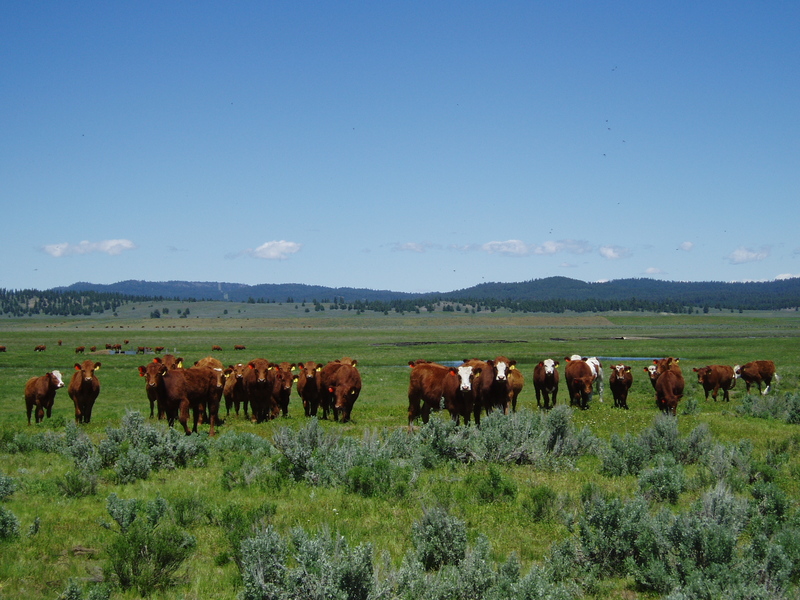 The simplest test is to see if a custom grazing enterprise could cover the lease cost with room to spare. If custom grazing is $50/cow/month and the grazing season is 6 months, that’s a gross margin of $300 per cow. We should adjust the number for the animal’s SAU value (lactating cows need more than dry cows), but whatever the lease cost is, it’s got to be paid for by the gross margin it facilitates with something left over. That something left over has got to cover any overhead costs that taking on the lease will add to the business. If renting the property will mean more labor (salaries, vehicle costs, etc.) those need to be factored into the equation too, and there has to be something left over to contribute to other business overheads and profit. This lease would enable him to carry 200 more units in the summer, but if he stocks the lease with his own cows, where will those cattle be in the winter and what will that cost? Winter ground could be hard to find and even more expensive. I suggested that before he bids on the summer ground that he have a plan for the winter. Before he submits a bid for the place, I suggested that he consider his long term goals. How much profit do you want to make? I asked, pointing out that ‘more’ is not a number. Like most of us, he wasn’t able to answer. But without a target, how can you know where to aim? Will this lease take him one step closer to achieving his goals or is it a distraction? It is impossible to know until he knows what those goals are. Let’s say that he wants $100,000 profit from his ranch and that the lease adds $20,000 in overhead costs to the operation. Let’s use the custom grazing gross margin of $300 per head. The lease, which will carry 200 cows for the season will add roughly $60,000 of gross margin to the business (200 head x $300 = $60,000). If the lease adds $20,000 in overheads there will be $40,000 left before we pay the rent. He was considering offering $25,000 for the lease. That leaves $15,000. Is $15,000 enough of a contribution toward the $100,000 profit target? Is his plan to duplicate this on seven different properties to achieve his profit target (7 x $15,000 = $105,000). I don’t know the answer to these questions. The problem is, neither does he. Perhaps he can find a way to cut his overheads. Maybe there is a way to improve the gross margin on the cows. Maybe the landowner would accept less rent if he were to add value to the agreement in other ways. (In this case that didn’t sound likely.) Maybe he should lower his sights and reduce his profit target … although that is a dangerous, slippery slope. I also asked him about his family situation and suggested he project his life 7 years in the future. Would having this lease be consistent with his goals as a father and a husband? Did he see it supporting their life or taking something away? Ultimately I told him that there isn’t much point in worrying about what someone else may be willing to pay for the lease. Even if it were knowable, what really matters is what he can pay if he wants to achieve his long term vision. If he bids a price that accomplishes that, who cares what anyone else was willing to pay? If he bids a price that supports his goals but it isn’t accepted, he shouldn’t lose any sleep over it. He should, however, be right there to pick up the pieces when the person who over-bids for the lease fails. How would you have advised him?